Don't react, just see! Where is my attention? Have I become the Spirit? 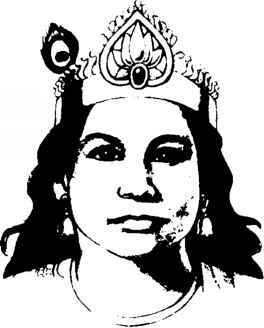 I am a Sahaja Yogi! Whatever you do, it should be done with the faith that you have in worshipping, zeal of a warrior and sensitivity of an artist. 'Praise the Lord.. .because God is fond of praise... if you praise the Lord, then He gives you everything. it's true; you cannot get to Mother, unless and until you are really Bhakti from your heart. but if you have Bhakti, then you can get to Mother. it is written -Bhakti Gamya ('attainedthrough devotion'). 19th. Aug. 1992 Guru Puja, Cabella. How fortunate we are to have been realised! We are Sahaja Yogis, God had chosen us. How can we work if we remain weak? Adi Shakti has given us the power to redeem the whole mankind. We can do it and we will do it. How deep is God's Love for us! He has given us the realisation. He is the ocean of mercy. Ignoring all our mistakes. He is working hard day and night for our welfare and instead of praying for His forgiveness of our mistakes, we are making complaints against Him and are blaming Him. My life is Yours, my heart is Yours, all this is Yours! The eight swayambhu (self-existent) Ganeshas in Maharas$ht****ra. 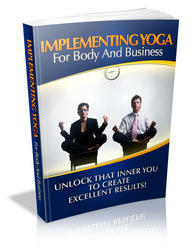 The Growing Interest In Yoga To Unlock The Inner You Can Have Amazing Benefits For Your Life And Business! In this book, you will learn all about the secrets behind what Yoga really is and what yoga can do for you and your life. How yoga can help unlock the inner you.